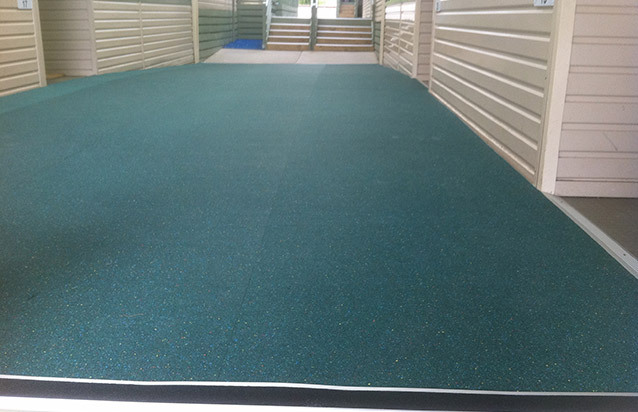 They are extremely popular in Gymnasiums, roof tops, balconies, break out areas and most internal flooring applications. Over 60,000 square metres of Enviro Gym tiles were installed last year alone making Impact Tiles the #1 selling rubber gym tile now for the past 4 years. They are extremely popular in Australian Gyms because they represent good value for money. Standard Impact Tiles are manufactured in 1 metre x 1 metre size, 15mm thick, with top bevelled edges around the perimeter. The individual weight of each tile makes them perfect for loose laid installations thereby eliminating adhesive costs and significantly reducing labour. This makes good sense for the fitness centre owners who can treat the floor as an asset which is removable if relocation is required. 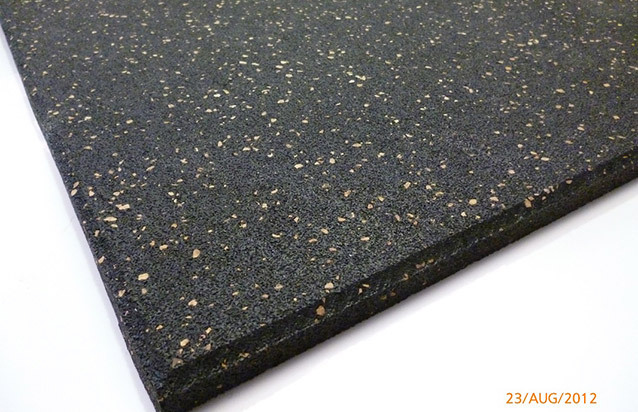 Enviro Gym Tiles are mass produced so a simple range of colours are available with custom colours available upon request. Standard colours are a black base with either blue, red or cork coloured speckles or straight black. Other thicknesses, base colours and speckle combinations are available by special custom order.